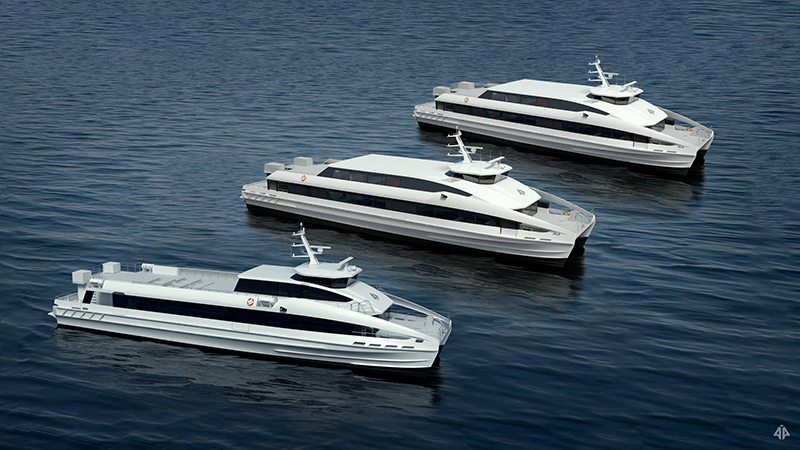 Brødrene Aa, Norway has a new contract for 3 high-speed carbon fiber catamaran ferries for the Chinese market. The customer, Zhongshan-Hong Kong Passenger Shipping Co-op Co., Ltd, will be operating the ferries between Hong Kong and Guangzhou. Two of the vessels will be 42m long with a capacity for 300 passengers and operating speed of 40 knots. The third vessel will also be 42m long but with capacity of 230 passengers and operating speed of 37 knots. All 3 will be delivered in Hong Kong by June 2019. “This contract represents an important milestone in our efforts to penetrate the Chinese market”, said CEO Tor Øyvin Aa.